As leading UK specialist decorative glass manufacturers, Kite Glass has been manufacturing and supplying laminated decorative glass for over a decade. 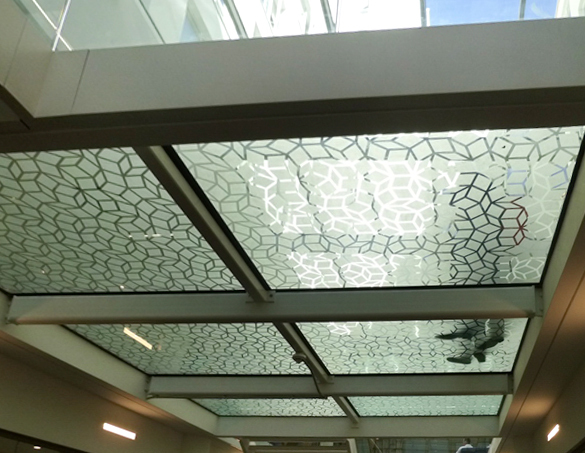 Design versatility is the key feature of Kite Glass laminated decorative glass. To find out more about the benefits of laminated glass, click here. Our wide range of capabilities gives architects the freedom to produce amazing graphics or stylish and dignified corporate branding. It can also be supplied with sound absorbing interlayers and is ideal for use as office partitioning. Kite Glass can produce decorative glass for a huge range of designs and, whatever the choice, Kite Glass decorative glass is strong and suitable for high usage areas. 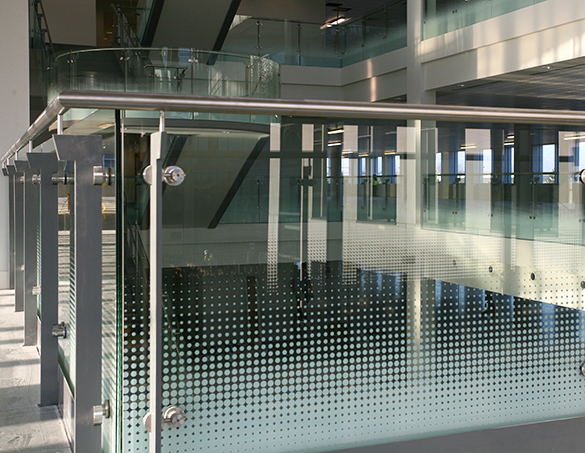 Kite Glass’ range of case studies showcase our experience and give some examples of decorative glass in action.